The Kelantan government will seek Prime Minister Dr Mahathir Mohamad’s views on suitable ways to develop the state. Kelantan Menteri Besar Ahmad Yakob said this was because there were many development opportunities which the state could grab for the benefit of the people and there was a need to get the best views, especially from Mahathir. "I told Tun (Dr Mahathir) there were still many development opportunities such as in the agriculture sector which must be developed for the benefit of the people in the future. “So the discussion today is on how to develop Kelantan in the future,” he told reporters after paying a courtesy visit to the prime minister on his one-day visit to Kelantan today. Ahmad said the Kelantan government still needed Mahathir’s views as the prime minister had a lot of knowledge on how to run a government. "We asked for his views, there were no new discussions, only old issues on Kelantan’s future. “He (Tun) said Kelantan has a lot of Malays and has to be developed, and we have to work at it. We must put in the effort to develop the state and the people,” he said. 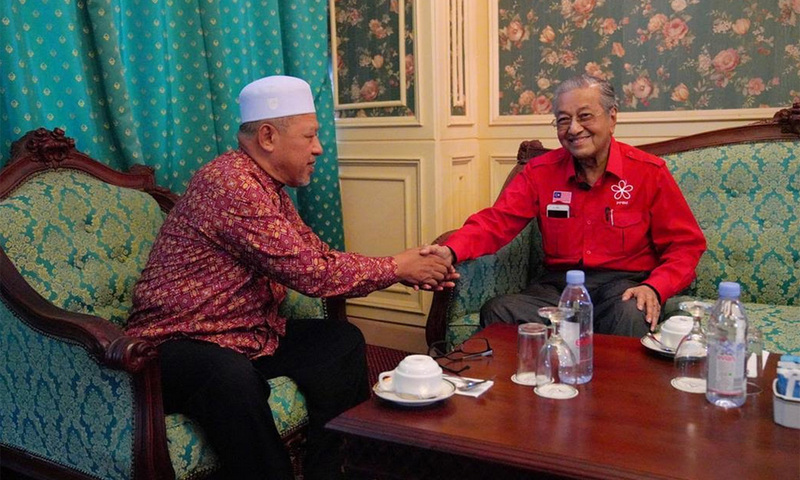 The meeting between Ahmad and Mahathir lasted for about 30 minutes.